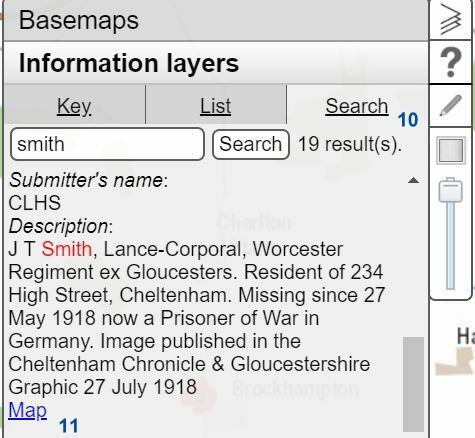 A fantastic new World War 1 layer has been added to the Know Your Place mapping website which plots the houses of WW1 servicemen in Cheltenham. Discover their stories, where they lived and what they looked like. Hundreds of images now available. 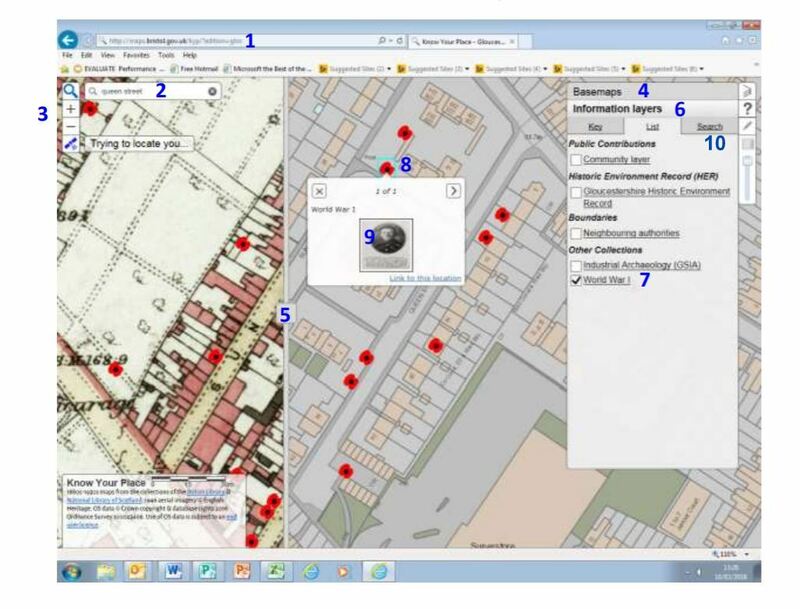 2) Click on the magnifier box (top left) and enter a postcode or street name. 3) Zoom in/out using the +/-(top left). You can also click and hold the mouse to drag it across the screen to move the map. 4) Click on Basemaps (top right) to select date of the left (Comparison) and right (Main) maps. 5) You can move the slider bar to compare now and then. 6) Click Information Layers(lower right under the basemaps menu). 7) Untick all the boxes and select the World War I layer only. 8) Click on a poppy to view a photo and information. 9) Click on the thumbnail to view a larger image in a new tab. 10) Click Search to search by surname or any another keyword. 11) Click on Map to zoom to the location and see thumbnail image.